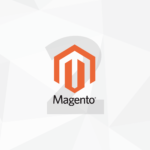 Magento 2 works in many ways to the Magento 1 ORM structure. They still have models, resource models, and collections. There are a few small differences, but the overall structure remains unchanged. There used to be more steps involved in creating the ORM for your module. The good news is that Magento took most of the configuration out of this process. Now, all we have to do is create and link our appropriate classes together. In this class, we linked our model to our resource model in our _init() method. In Magento 2, there is no restriction on class type, (and therefore no need for configuration of grouped class names). So, in order to associate a resource model to a model, we enter the fully qualified class name in our method. Easy! The class Magento\Framework\Model\AbstractModel has replaced Mage_Core_Model_Abstract from Magento 1. Resource models need a table and primary key in order to function correctly. That is what we will associate in our resource model. There is no longer any sort of table abstraction, so you can enter the table name (minus the table prefix) directly into the resource model. The class Magento\Framework\Model\ResourceModel\Db\AbstractDb has replacedMagento_Core_Model_Resource_Db_Abstract from Magento 1. This one is probably the biggest change among the three classes. Instead of automatic association to the resource model, you manually specify it in the_init() method. The class Magento\Framework\Model\ResourceModel\Db\Collection\AbstractCollection has replaced Mage_Core_Model_Resource_Db_Collection_Abstract from Magento 1. With much less configuration, (and moving parts), ORM is much easier to setup in Magento 2. You still have to create the installation and upgrade scripts for your table, but that’s for another lesson.